Add some wire to a photo frame, decorate with paper flowers and embellishments and clip on some photos for a wonderful way to display your photos around the house this holiday season. Save money and get creative by DIYing your planner. Make your own pockets and envelopes, create custom embellishments, paper clips and more. 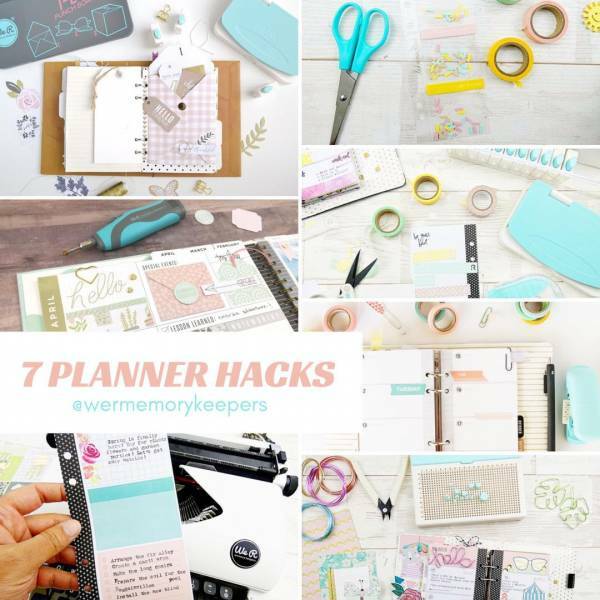 Find 7 great ideas for hacking your planner over at the W R Memory Keepers blog. 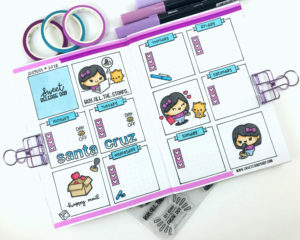 This super cute planner layout is in a fun comic book style. How sweet is that?! Learn how to draw out the boxes and add small stamped images in a plain notebook for these neat planner pages. Learn how to fold these open origami boxes and get organised. Use them as stylish handmade pen pots. Your desk will never look so good. The Gathering Beauty blog has complete directions. Aleksandra Miheli? 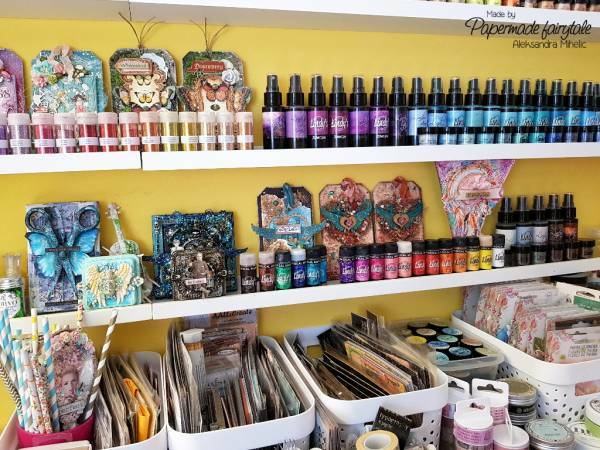 is sharing a tour of her amazing craftroom with some helpful storage tips like pretty bins for embellishments and washi tape and pull out drawers for papers. Visit the Graphics 45 blog for her complete room tour. Stop Photo Clutter: Do You Really Need To Keep All Those Photos?